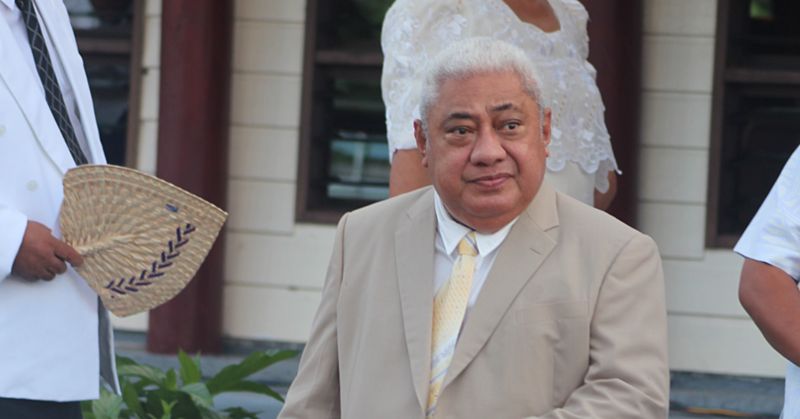 Has Samoa developed a denial mentality that makes us accept certain things as normal? It’s difficult to ignore some of the developments we see around us today. In Samoa, we see so many able-bodied men and women who are unemployed sitting around doing absolutely nothing. They congregate on street corners late at night and at all sorts of hours. Bored out of their wits and desperate for material wealth to keep up with the changing times, some of them turn to a life of crime. They would beat anyone and everyone simply for a few gold coins and their mobile phone. They would break into any store to steal elegi and a few pounds of rice for their evening meal. They would go as far as robbing unsuspecting senior citizens of this country who are vulnerable because of age and health. Ladies and gentlemen, we are not making up these stories. We’ve seen it happen. The horror has unfolded on the pages of this newspaper not once, not twice but many times. The question is anyone paying attention? Does anyone care anymore? Or have we developed such a strong denial mentality that makes us treat these incidents as if they are normal? Crime is not normal. Poverty and hardship shouldn’t be accepted at all. Now on this Sunday, think about the future. Think about Samoa in five years time. Think about these hotbeds of social chaos in 10, 20, 50 years time? If our opinion is sought, I’m afraid we see nothing but struggles. It’s because our leaders continue to turn a blind eye. They continue to claim that everything is fine and dandy. As long as they live a luxurious life, then in their minds, everyone else should be okay. So where are we to go from here? What are we to do? We need to step back, take a deep breath and take a moment to reassess and refocus. We have to. The fact is everyone wants a bright future for our children. Whether you are the Head of State, the Prime Minister, a Church Minister or simple farmer from the village, our dreams and aspirations when it comes to our children are very similar. We all want the best. We want them to do better, achieve higher and be the best they can be at whatever they choose to do. But is that what our children are heading for? Or are we only kidding ourselves to make us feel better when the reality is that future for our children is no one we would want to imagine? Now looking at the problems of today, the words to think about from here onwards are legacy and hope. What legacy do we want to leave with the young generations? And what we can do to instill hope in a generation where some people seem to know very little about it? We’ve always known this much. To determine the kind of future we want, good leadership is critical. Good leaders, we believe, not only leave a lasting legacy, they inspire and instill hope. They ensure that those under their care are nurtured, protected and empowered to be blessings to many others – far more than the people they are actually responsible for. Most importantly, good leaders strive to ensure the work they do is remembered, not just because of the positive impact it’s making today, but also how it will shape lives tomorrow. From our standpoint, we believe great leaders embody the words empathy, vision, care, ethics, forgiveness, compassion and love. Do you see this in Samoa today? You only need to look at the standard of living for some people to know that many of them have become unacceptably poor. They mainly rely on remittances and hand-outs to get by. It’s difficult to imagine what this country will become when remittances stop. The unemployment figures in Samoa are scary. What’s worrying is that when you drive through the villages on any given day, you would see abled-bodied men roaming around doing absolutely nothing. Agriculture continues to be a problem area. While there has been much talk about working the land, development has been slow. Export figures are not even worth thinking about. And now there is a new taro virus, what are we going to do? But these are questions of our time. We need to start answering them with a certain degree of certainty or we will be heading for a future no one wants. Write and share your thoughts with us.